I've started a new online gallery of IPSC photos. It's a modest start so far, but I have literally thousands of photos to choose from, and I get more of them every month. The nice thing about it is that I can also post videos. Some of them are fairly large, definately much larger than the highly edited *.wmv files I've been posting on this blog. This will provide a venue for hosting large videos which just don't look the same when I limit them to less than 20 seconds of content. As I build more albums, I'll keep you advised. It's not an entirely bad idea to bookmark the website and check it out from time to time. I expect to add new photos and videos every week, for some time. Right now, I'm working on the 2005 Croc Match. There have been some inquiries from people who competed in the match, wondering where they could get copies of the photos. Well, this is the place, because that's my first project. The Geek/45 and The Geek/super (that would be me) scored the same on this meme non-Cosmo Quiz: "Special Ops"
I suspect that most of the Geekish would end up with the same kind of personality profile. It's shallow, it's weighted toward actiona and, if you aren't a limelight-hog, it really narrows the choices quickly. (Some would call a 'limelight-hog' by another name: Leader. Here in Geekistan, we tend to look at doing the job and not expecting help from anyone else. We've been given a job, we get it done and move on. One thing: Geeks learn quickly that, when you've successfully completed a difficult job, you're given . . . more, even more difficult jobs. No rest for the Geekish. H/T: too many to mention. The joy of shooting all this ammo: Priceless! Want the full-sized version of the poster? The mother of a slain Police Constable has initiated a campaign to make it illegal to privately manufacture ('reload') ammunition by outlawing reloading presses and components. Given their hopolphobic legislation, this is definately a 'loophole'; it's illegal to buy ammunition, but not the materials and equipment to make it yourself. Some Yob bought the gear and the goodies, loaded up a batch of ammo, and used it in his ILLEGAL pistol to gun down a bobbie. Let me see; it's illegal to have the gun, and the laws didn't stop him there. 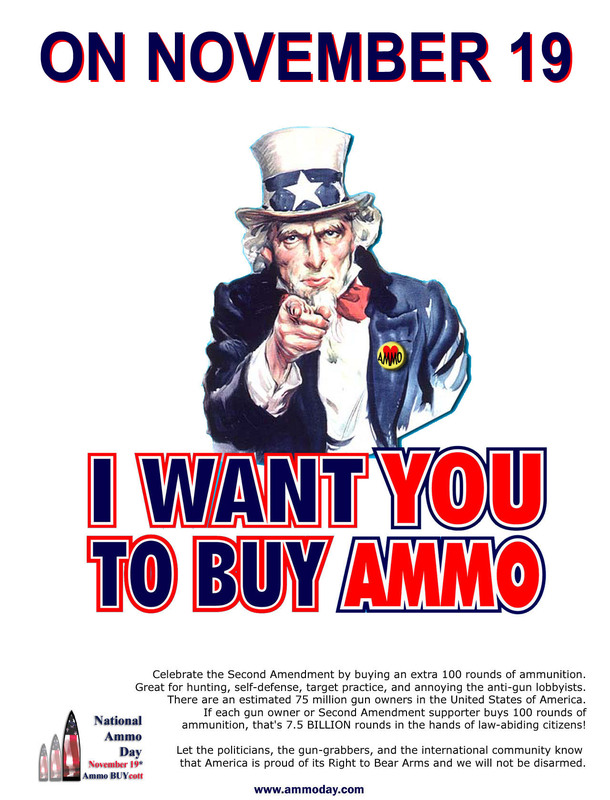 It's illegal to buy ammunition, and that didn't stop him. So just HOW is it going to stop him to make reloading illegal? THE LEGAL loophole that allowed the killer of Leeds police officer Ian Broadhurst to produce home-made bullets is set to be shut tight by MPs today after a tireless campaign in Yorkshire. Ex-US Marine David Bieber was jailed for life last December for gunning down the 34-year-old policeman in cold blood on Boxing Day, 2003, and firing at two other officers using a pistol loaded with ammunition made from components that had been bought completely legally. Here's a thought: you can't stop the Yobs from arming themselves; God knows you've tried to do so by passing laws, and it just . . . hasn't . . . worked! So how about you allow the police to carry arms? At least they would be able to defend themeselves. During Bieber's trial, Mr Justice Moses said it was "completely barmy" that the killer had legally bought a Dillon RL550 bullet press and re-loader from a Hertfordshire gunshop that he had used to manufacture thousands of bullets in a home-made weapons factory in a Leeds lock-up. PC Broadhurst's mother Cindy Eaton – backed by the Police Federation and PC Broadhurst's MP, Batley and Spen's Mike Wood – launched a high-profile campaign in the Yorkshire Post for a ban on the unrestricted sale of bullet-pressing kits and primers – the essential mini-detonators which set off the propellant in a round. Following Bieber's conviction, the MP called directly on the Prime Minister to change the law. His pleas are set to come to fruition today, as MPs give their final approval to the Violent Crime Reduction Bill, which will make buying components subject to the same restrictions as buying firearms. I can understand the mother's anguish, but all I'm reading here is that she's blaming the laws (or lack of them?) for the death of her son. Isn't anybody blaming the creep who shot the bobby? Maybe they're missing a good bet. Maybe they could pass a law against humans being ornery. Or vicious. Or human. Clause 28 of the Bill will make it an offence to sell primers to anyone without a firearm licence and Clause 29 will ban cartridge and bullet presses. Ms Eaton said last night: "We're thrilled at the progress that has been made and look forward to these measures becoming law. "It's nice to think that something like this can come of Ian's death and that a loophole we weren't aware of previously can be closed." Mr Wood was delighted that what he called a "lethal historical anomaly" would finally come to an end and that Ms Eaton's successful campaign may well have prevented someone else falling victim to home-made bullets. How about 'victim to a thug, who will do what he wishes, to whomever he wishes, as long as he's the predator and everyone else is prey'? "Enacting legislation can be a long and drawn out process – often it has to be – but these restrictions on bullet-making components are well worth the wait," he said. Waiting for these Britanic Buffoons to wake up and smell the coffee is a long and drawn out process, too. How they can catagorize these treat-the-symptoms laws as being "well worth the wait" is beyond me. "Bieber made literally thousands and it was always disgraceful that there had been no control on the materials and machines to make these sorts of bullets. "It's quite right that this ban should be in place." Rights? They're talking about RIGHTS? How about the rights of private citizens . . . and police officers . . . to protect themselves? Why aren't they talking about societal changes, including an attempt to identify and get killers off the streets before they kill again? Why aren't they talking about rehabilitating a society which makes it EASY for people to become killers? Why? I'll tell you why? It's easy to pass laws against 'things'. 'Things' can't rebel, can't exercise free will, aren't intimidated by their illegality. Yobs aren't intimidated, either; they're challenged. Human ingenuity will always win out, there are always ways to circumvent the law if you've already decided to break the law anyway. British Parliament isn't able to deal with the real issues. As long as they continue passing laws, the brainless public will believe that they are trying to resolve issues, even when they're NOT! What's not easy is to deal with people. Laws don't affect humans, except for those who have already made the personal choice to be law-abiding already. My advice to Great (?) Britain is to get rid of all those laws which handicap only the law-abiding, and let them protect themselves. They certainly can't count on the police to protect them. The police can't even protect themselves. Making laws against private ownership of weapons is as ineffective as making laws against narcotics. They're not protecting anybody, they're only creating a very lucrative market. Last weekend after the IPSC match at Albany, we had a little full-auto frenzy. Norm the Ungrateful, and his son Zac the Ungrateful, took me back to the deep bays so I could photograph them playing with Norm's semi-new full-auto gun. I'm hoping that Norm will let me know what this is. I think he must have told me, but I was not paying attention to it because I thought it looked pretty scarey. You know . . .
Black matte finish + short barrel + pistol grips fore-and-aft + folding stock = EVIL! Only in this case, it was a rock 'n roller, which means I don't shoot 'em very good, so it IS evil. Norm replied to my query, in which I had asked "What IS that gun, anyway?" It was a SWD M11/9. 9mm open bolt SMG. The mags were not new, but the drum had been reworked for me and has not been tuned yet. The drum holds 72 rounds, I had to strip like 5 or something to get it to work. We started right out letting Zac shoot it the first time. I think it may have been his first time to shoot it, too. We all had a lot to learn about the little 'machine pistol'. However long Norm had had the gun, and the magazines they all seemed pretty new and rough-edged. I think Norm's going to have to shoot this a LOT to get it broke in really good. Fortunately, I suspect he can count on Zac to help him break it in. After Zac had had his fun, Norm got right down to business. He wanted to shoot his drum magazine, with umpteen rounds (50, I think) of the 9mm rascals in one trigger-pull. Unfortunately, he found he had to download the magazine 3 or 4 rounds before it would feed. Darn, less than 50 rounds after all! I'm sure that means he just has to do a bit more breaking-in to get that magazine spring tensioned right. They thought I was having too much fun, just shooting pictures, and started trying to talk me into shooting the gun. I protested "I've shot machine guns all I need to" but they were persuasive and I was easily persuaded. I've always been easy to talk into the things that look too fun to be really that fun. Guess what? It is that fun. I tried to remember my "controlled-fire" training, shooting at the B-zone of the IPSC target with two-to-three round bursts. Some of them only fired one round -- I think. Hard to tell when you're shooting, and even the video doesn't clear up the question of how many rounds I was getting off. You'll have to decide for yourself. One thing IS clear; I wasn't getting a lot of rounds in the B-zone. Next, Zac tried it again. They were down to just one fully loaded stick magazine, so Zac obliged his dad by shooting the whole thing up in just a few seconds. It didn't appear that he considered the work too burdensome. Then Norm split the remaining rounds (less than 100 from the original box of 250) between two magazines, and he and Zac wrapped up the day. First Norm had to do his chores, and from the look on his face it didn't appear that he was feeling oppressed by the task. It's a nasty job, but somebody's got to do it. Norm told me that there was a special name for the big ol' grin of pure delight you see on the face of people who shoot a full-auto fun for the first time. I never showed it, of course, because I'm entirely too dignified. I wish I could remember what he called the expression, but judging by the look on Norm's face I have to call it a SEG, for Sh*t-Eating Grin. UPDATE: November 20 - I met Norm at the Sunday TC Club Match and asked him to remind me of the 'proper' expression. He informs me that this is called the "Thirty-Round Grin". Personally, I think I'll just continue referring to it as the SEG (rhymes with 'hedge'). Zac finished off the ammo with a sustained burst that backed him up almost to the counter behind him. He was concentrating so intently, I doubt he even noticed. As usual, I stood right in the path of the hot brass and got splattered. It was a cool day, I didn't mind a bit. It was worth it to get a photo of a fine young man having more fun that ought to be legal. Shooting full-auto is like cheating, and getting away with it. I can't afford it, but I heartily recommend it. Norm, Zac . . . thank you for bringing a perfect day to a brilliant finish. The video files are all 2mb, except for a couple that might have gone to 3mb because, doggone it, the grins were too big to waste on a small format. As I said, it's all rock 'n roll. The music is all by the Rolling Stones, from their "Hot Rocks 1964 - 1971" album. Now that I've given you a clue, can you identify the songs that are profiled in the videos. No, this isn't an article about transporting "Assault Rifles" on vessels. This is about shooting wooden posts with semi-automatic rifles. The Tri County Gun Club has a Practical Rifle match every month, and at their last month Match Director Randy S. set up a 'fun stage' at the end of the match. He put a couple of 4x4 posts erected vertically into a shooting bay, arrayed the competitors in a line, and timed how long it took them to break it into two pieces with rifle fire. There were two squads, so he filmed each squad as they 'assaulted' a post. These are quicktime movies, the first one is 1.5mb and the second one is 1.7mb. Randy also has a large number of still photos on his YAHOO photo gallery account, most of them depicting people shooting in mud and rain and gravel, in awkward and contorted positions, at targets very far away. I think these guys are people who rejected Rugby because it was too tame. When I get the address of Randy's Practical Rifle Photo Gallery, I'll add it to this post. Email from Randy, the URL for his Yahoo Practical Rifle Photo Gallery is here. If you look at the 2005 Nov album, you'll see photos taken on the same day as the board-busting exercise. They had forecast rain and cold weather for the Central Willamette Valley in Oregon today, but ‘they’ were wrong. It was a beautiful day for shooting. No wind, no rain, and often the sun peeked through the clouds to beam it’s munificent approval of 26 dauntless shooters competing in an IPSC match in Oregon. During the walkthrough, Match Director Mike McCarter promised that never again would he cancel an IPSC match in Albany because of expected inclement weather conditions. The crowd roared it’s approval! (This was in reference to a scheduled match last winter, which he had cancelled citing the forecast 'icy road conditions' on the I-5 Interstate Freeway, which is the primary conduit to the Albany range. We broke into three squads, which was an easy division. One squad was the Juniors, and those who chose to shoot with them. It was probably the biggest squad. The second squad was the Open gunners (all 3 of us), and those who chose to shoot with them. There were Seven people, total, in that squad. The third squad was those who had no preference. They just came to shoot, and hang the weatherman. Also during the walkthrough, Mac discussed the upcoming Glock Match. He had originally stated that all divisions would be recognized, except for Glock Revolver. He seemed to think that no such article existed. Fellow Shooter Walter proved him wrong, by presenting the handgun he planned to shoot as a Glock (eg. Tupperware, eg. Plastic) Revolver. Everybody knows that if you’re going to shoot Revolver in IPSC, you better have a good sense of humor. Walter and Mac share that admirable quality. Walt read this blog, and couldn't wait to show me the custom modifications he had made on his Glock Revolver. The first stage was an 80-point Comstock course called “Doh!” (I think this is a quote from The Simsons.) You shoot around a Bianchi Barrier at some steel (this WAS suppose to be a rainy day, so there’s a lot of steel targets in this match) and a couple of paper targets. “GeeTee” discovered that he had to stretch to get the awkwardly positioned IPSC targets, and fell out of the box at the end. I think this is a take-off on Ralph Machio’s “Crane” position in The Karate Kid. Stage 2 (Boardroom) was another Comstock course (I think I’ll forget mentioning the scoring style, all the stages were Comstock) worth 80 points. Shoot once at six IPSC targets, reload, do it again, reload, shoot twice at each of two IPSC targets with a lot of hardcover on, standing WAY downrange. It looks as far away in person as it does in these pictures. I chose the video of Mr. Mull because he was having so much fun he just couldn’t stop shooting! (BTW, most of these videos were chosen because they had something ‘special’ to offer. They either serve as an example of things you should or shouldn’t do, or just demonstrate the kind of mind-poop that happens during a match. You’ll notice that there are no photos of The Geek in this essay. That’s because I had the camera, and nobody else was taking pictures. I assure you that I screwed up big-time on EVERY stage except this one, and I didn’t do as well as I thought I did here. I threw in a video of Norm the Ungrateful shooting this stage. He made it look good, and when I shot the stage I thought I had done at least as well as he had, perhaps better. I was wrong. I cleaned the stage, but I shot SLOW! Stage 3 (Hill Billy Run) had a lot of vision barriers, and some steel or IPSC targets hiding behind them. You had to contort yourself to get a sight-picture of at least some of the hidden targets. Also, you had a choice of the order in which you engaged the hidden target arrays (the first array had to be engaged from the starting box.) I chose to go right, then left. Higgie went the other way. He was right, I was wrong; he took over a second less time to ‘do it (his) way’. Stage 4 (MAKIN' CHANGE CM03-17 ) was the classifier, designed by George “Earthworm” Jones. “It was a bad stage, it was a dangerous stage, it was a Bug stage”. Out of five targets on the stage, I managed to hit all of them at least once . . . including the no-shoot. Starting seated at a table with a “one dollar bill” in your hand, two 12” square rugs on the table, magazines and gun (unpropped) on the rugs, at the buzzer load and fire 2 shots per the 4 IPSC targets. Only eight shots, 40 points, and I managed to catch a no-shoot hidden deep in hard-cover territory. (The score sheet, I find, is wrong: it doesn’t reflect my no-shoot hit.) Norm the Ungrateful, however, does a credible job and deserves credit for it. I know it didn’t feel as good to him as it looked to us; he thought there was a lot of “Wasted Time” in his run. Stage 5 (DRIVEWAY BLOCKADE) was an interesting stage. You get to shoot at a bunch of IPSC targets through a port on each side of the bay, and in between there are four Pepper Poppers . … the front two are forward-falling, thus slow to clear the view of the two Pepper Poppers behind them. The best way to shoot it is to NOT try to shoot them from the starting box, but to go to one side or the other and engage IPSC targets from the ports, then take the steel as you move between the sides of the bay. The hard thing . . . the IMPORTANT thing . . . is the get the steel down FAST, preferably without having to make up a missed shot. The shooter here is Zac the Ungrateful, and he has some trouble hitting the steel. I feel his pain. I took just as many shots at the steel, because I missed it as many times as he did. No excuse, I did just fine on the first 3 Pepper Poppers but I could NOT hit the last one. To compound the problem, I kept un-mounting the gun between shots because I ‘assumed’ I had hit it . . . I hadn’t. If I seem to pick on Zac here, it’s only because if it was my video (which thankfully doesn’t exist) I would have to pick on me, too! This was the first stage our squad shot, Zac was one of the first shooters (the very first? I’m not sure) and that it took him 3 more seconds to compete the stage . . . which should have been an easy 15 or 16 second stage . . . that I did is only a matter of luck. I haven’t shot a match for 3 weeks; he hasn’t shot a match since the Nationals. Also, he was sharing a gun, and it is NOT the SV he usually shoots, but instead his Father’s STI with an OK sight instead of the C-More he’s use to using. Stage 6 (HIDE AND PEAK), the last stage of the match, was a throw-back to those ancient days when stage designs were not free-form. The stage instructions said, essentially, “Start in Box A, shoot targets T1-T2, move to Box B, shoot targets T3-T6, move to Box C, shoot targets T7-T10.” We all decided that we would not try to game this stage because HEY! It can’t be done. I have two videos for this stage, and I selected them for very special reasons. The first video is of Brian, and I’m probably going to cut my throat here because he is the guy who provides web-hosting for me. He just spent 3 days installing a new server, I just KNOW he’s going to think I’m busting his buns here, because I went out of my way to point out that he lost a couple of magazines from his mag-carriers while running pell-mell from the first to the second shooting box. It was “an excellent run”, but the dropped-magazine phenomenon is becoming increasingly common in this day of heavy double-stack magazines held by short mag-carriers. You start running hard, and the magazines just shake out of the carrier. That’s why you see some of the competitors here holding onto their mags while they run. It looks funny, but at least you don’t end up losing your magazines in the gravel. Still, while he’s running from Box A to Box B, he drops a magazine out of one of his magazine carriers. I offer this not only to show his splendid shooting techniques, but also to prove that it isn’t a matter of having a middle-aged middle that causes us to drop magazines. That’s about it for today. You may notice that I’ve added music to the videos. I think the selections were admirably chosen and impeccably timed to illustrate something about the videos they represent, although the individuals depicted here may disagree. SUPERFLUOUS SELF-SERVING RANT FOLLOWS; FEEL FREE TO DISREGARD. For those of you who may be contemplating the initiation of your own Blog, a word of warning. I’ve just spent eight hours writing this article. This includes downloading the images from my camera; organizing the files; selecting the images to be presented; editing and reformatting the images from 4mb to 8mb MPEG to 2 mb MPV formats; selecting the accompanying music (which has been paid for when I bought the CDs); writing and inserting the comments within the videos; reformatting the MPV videos to include the music, which has been carefully timed to coincide with significant events in the videos; re-organizing the resulting files to fit within a single directory for archival purposes; uploading the files to the server; writing the first draft of this article; providubg links to the server-hosted files; converting the WS-WORD document to a blogspot article; uploading JPG files to illustrate the links to the videos, rewriting the article so it includes the pictures and the links; testing and corecting the links; publishing the final, polished article .